1 x Baby Diaper Change Pad. Material:cotton TPU bamboo fiber. Using bamboo fiber production. Skin care soft without stimulation, every urine pad fabric. 3 layers of urine pad, double-sided available. Surface fluffy, baby with a comfortable. Lightweight and portable. Le 12-janv. -18 à 08:17:10 Paris, le vendeur a ajouté les informations suivantes We will be happy to resolve any issues you may have in a cordial and friendly manner. Otherwise deal is final. Mini puzzle mats contain 10 numbers from 1-10 and a total of 26 letters of the alphabet from AZ. Material: Foam. It may be longer. Color: Mixed Color. we will give you our best price. Size: 18.5 17.5cm. 1 x Waterproof Fitted Mattress Protector - Bassinet: 80cm x 40cm x 12cm. KIDZ KISS® Bamboo Waterproof Fitted Mattress Protector Top Layer is made from Bamboo Viscose that is highly absorbent and breathable. WOOL CRIB DUVET MATCHING COVER. -Japara cotton duvet cover with satin piped edge. -Crib quilt size: 36" x 50". -100% Pure Australian Wool and very light. Contents: 100% cotton cover inner and outer,Filling-100% wool. It allows you to have one cover on the Baby Nest and one in the wash and to switch between all of our beautiful patterns. Machine washable. m. and select this option during checkout. Item Type: Crib Mattress. 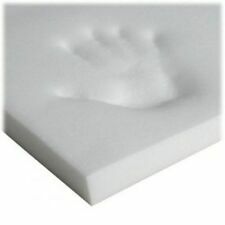 1 x Crib Mattress. - 100% Waterproof to protect your mattress. - Waterproof mattress protection. Top Fabric: Terry Laminate with TPU. - Terry cotton top safely and silently provide 100% waterproof barrier. The Little Green Sheep's Organic Mattress Protector - Junior Bed (90 x 190cm) is a waterproof mattress liner made of organic cotton. Crinkle and crunch free, the protector sheet is extra absorbent and will keep your baby's mattress clean and dry. DARLING Vintage 1960's Zippered Vinyl Crib Mattress Cover Poodles Kitties Kids! Portable, léger et facile à plier, le purfo Respirant Nest bébé est idéal pour une utilisation à la maison et loin. Fournit une grande surface de couchage 64 x 28 cm. Dès la naissance. Le projet de loi. Direct Debit. SAM : 10:00 14:00. Conseils personnalisés. Best Service. Cosy baby nest with a removable support wedge. Bamboo surround is also fully breathable. Super soft bamboo cover is breathable, anti-bacterial and anti fungal. Removeable wedge can be used on its own, simply slip under a cot sheet. Dazu gehört ein Matratzenschoner sowie ein Bettlaken. Alles ist gebraucht und weist entsprechende Gebrauchsspuren auf. Allerdings noch vollumfänglich nutzbar. 4 Pieces Disposable Pads. - PE waterproof breathable bottom film, leak-proof edge film, use leak-proof waterproof material on the bottom layer, effectively prevent leakage. - A waterproof layer protects your sheets and mattresses from liquids and accidents, keeping them dry all night. TheLittlelife Animal Snuggle Pod - Crocodile is the ultimate sleepover solution! The ultimate sleepover solution! The fitted sleeping bag has hollowfibre insulation for added warmth and a soft brushed cotton top section, which fits neatly around the contoured airbed with stabilising wings. TheLittlelife Animal Snuggle Pod - Penguin is the ultimate sleepover solution! The fitted sleeping bag has hollowfibre insulation for added warmth and a soft brushed cotton top section, which fits neatly around the contoured airbed with stabilising wings. Babymoov Cosydream Babystütze. Eine komplette Babystütze mit einer perfekten Passform. Integrierte Kopfstütze für einen runden Kopf. Der eingeschränkte Platz beruhigt das Baby. Vorkasse(Überweisung).